It is not known how many illegal buildings exist in the country despite the launch of a scheme allowing owners to pay to regularise such developments, enquiries made by the Times of Malta show. This newspaper asked Dr Schembri’s office for the data on which the decision to launch the scheme was based. However, none was forthcoming by the time of writing. The amnesty will be available for two years, leading to election time. Estimates on the extent of building irregularities in the country vary wildly, with some architects and lawyers who spoke to this newspaper saying the figure mentioned was inflated. All agreed that the introduction of such a scheme should have been based on an accurate assessment of the situation to determine need. This is the third amnesty by the Planning Authority. Amnesties launched in 2012 and 2013 already dealt with the abuse that could reasonably be absolved, according to lawyer Claire Bonello who questioned why another was needed. Meanwhile, developers and architects have locked horns on who was responsible for the situation while the planning authority is being accused of having done a shoddy job over the years. 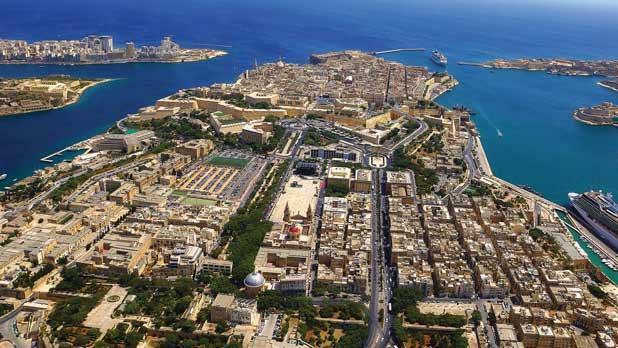 Malta Developers’ Association president Sandro Chetcuti welcomed the new amnesty, confirming there was a large number of illegal buildings on the islands. He said a stricter observance of planning laws only started in the past decade or so. Before then, everyone was still trying to get away with whatever they wanted to do. When it was put to him that it would be reasonable to assume that developers were responsible for a number of such illegalities, Mr Chetcuti said architects also had to face up to their involvement. “They are professionals and they must live up to it. If a client is insisting that the development should deviate from approved plans, then they should withdraw from the project,” he said. This was met with strong objection by Chris Mintoff, president of the Chamber of Architects and Civil Engineers. “Everyone knows that there are illegalities done after the building is finished according to plan. Plans have also been tampered with before being presented to the architect for the compliance certificate. Developers are also responsible for applying pressure to get the most out of their investment,” he said. The chamber expressed strong reservations about the scheme, saying it was open to wide interpretation. It also failed to address the importance of promoting the quality of building stock by allowing illegalities that fell well below the minimum requirements of established regulations to be regularised. The system of a compliance certificate was introduced under the previous administration to stem the attitude that permits could be flouted and sanctioned later. Without a compliance certificate, the building could not receive water and electricity services. Ian Spiteri Bailey, who chaired the Appeals Board of the now-defunct Malta Environment and Planning Authority for six years, said that in his time there were “numerous” applications to sanction infringements. “I witnessed a tendency to flout approved plans thinking they would then apply for sanctioning. This isn’t right. The previous administration tried to address this by introducing the concept that the planning authority would not consider an application until the infringement was demolished,” Dr Spiteri Bailey said. He added that the new scheme was required, especially in view of apartment blocks where people who purchased their property in good faith got stuck because of an infringement in the common parts that was no fault of their own. “Yet, there will be many who exploit this situation to legitimise their abuse of the system,” he added.